Part of my role as an unofficial ambassador for Hyatt Hotels, is that I get to explore and play with the Hyatt team whenever they have something new or exciting to announce. So when they asked if I would be happy to bring a guest around town and explore the Hyatt Neighbourhood, I was more than happy to oblige. As part of the Explorer Package, The Boy and I were invited for an overnight accommodation in the Club King Room (we upgraded to the Grand Deluxe Room). 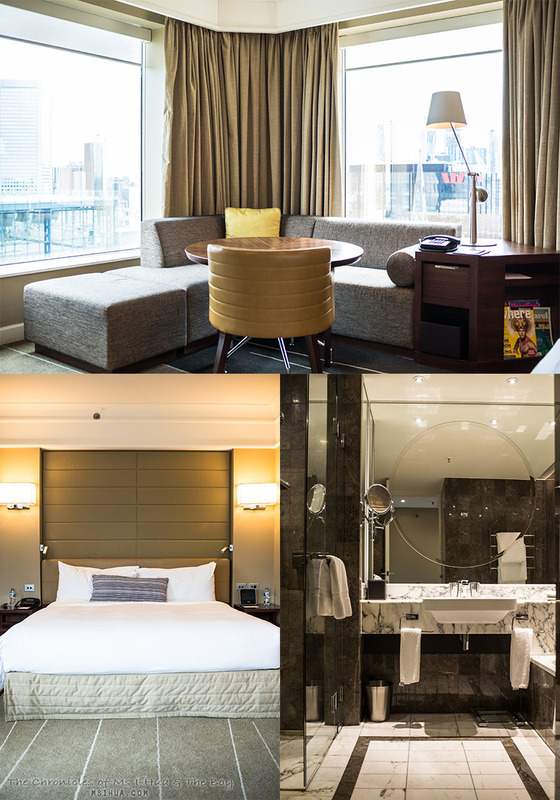 We were excited to once again indulge in the luxury of Grand Hyatt Melbourne. Having only just returned from our trip in Mexico (where we stayed at the Hyatt Regency in Mexico City), we felt as if we were coming home, and it definitely prolonged the holiday feeling (and stopped the holiday blues from creeping up!). 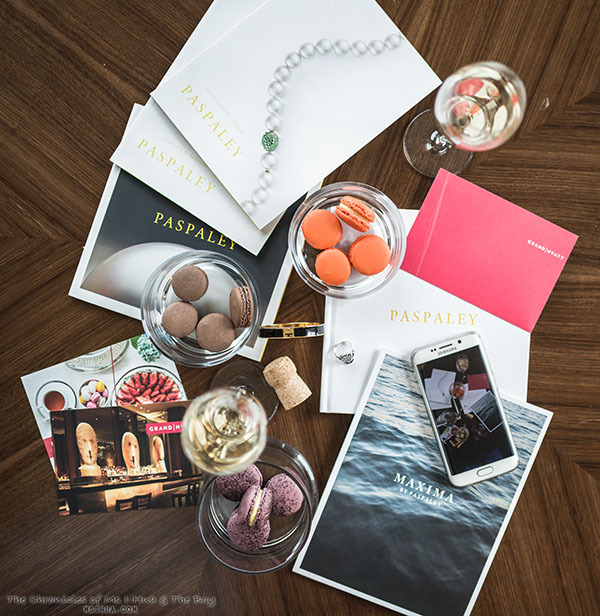 Part of the Explorer’s package is that guests get to visit the exclusive Paspaley Pearls store that is located in the Grand Hyatt vicinity. 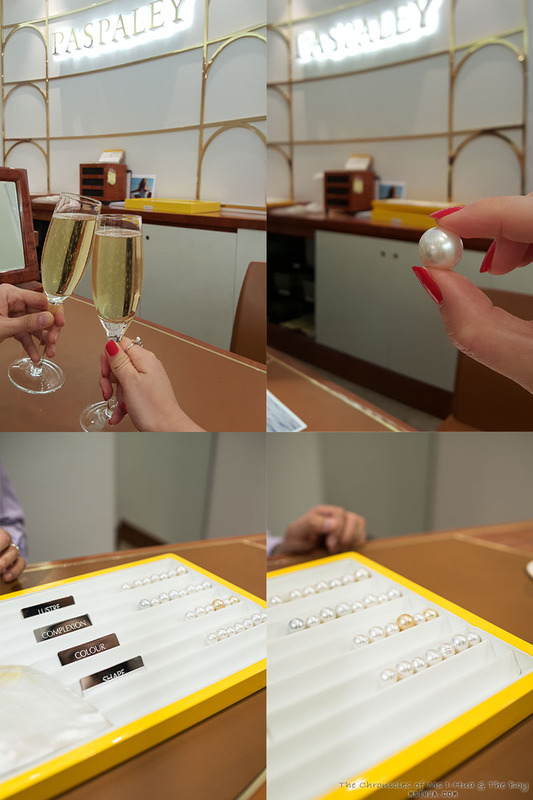 For a better part of an hour, we learnt a lot about pearls. As with diamonds, pearls are prized for their five virtues. Lustre, complexion, shape, colour and size. We learnt that the very rare Pinctada Maxima oyster, king of all pearl oysters, produce pearls of esteem quality. We also learnt that the colour of pearls are derived from the colour of the shells. Did you know that? So if the shell has a golden mother of pearl lustre, the pearl that grows within it, will also have the same golden hue. How amazing is that?! As refugees from the Greek island of Castellorizo during World War I, the Paspaley family arrived in North Australia and entered the mother of pearl trade. The young pioneer, Nick Paspaley (senior) started diving for mother of pearls (at that time, mother of pearls were prized and made into buttons) in his teenage years, even managing to secure his first pearling lugger at the age of 18. As the button industry took a hit (due to the invention of plastic buttons), Nick Paspaley was forced to think outside the box and diversify. With hard work and determination, he has managed to build an empire spanning three generations! These days, the brand Paspaley is synonymous with high-end luxurious pearls. Famed for its supreme quality of string pearl necklaces, even kings and queens of bygone eras would be green with envy. We learnt about how difficult it is to find a string of pearls that match in all five of the virtues. Often, a string of pearls within a necklace can take decades to complete! One of the lessons I learnt during our visit to Paspaley was that the company remains committed to sustaining the pristine and natural waters of Northern Australia. They strongly believe, and follow the ‘leave no footprint’ philosophy, in understanding and respecting the symbiotic relationship between the pearl’s quality and beauty to the water that surrounds and envelops it. 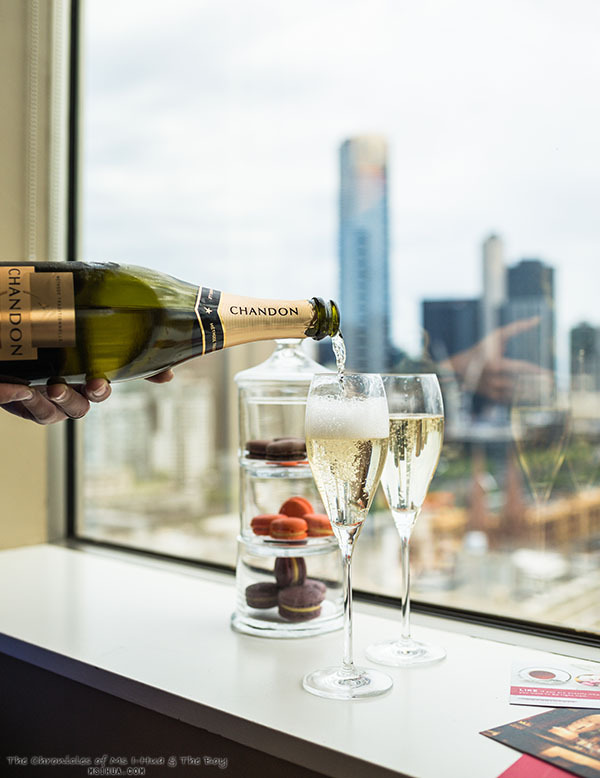 After our lesson with Paspaley (I think we may need a few more decades to truly be pearl connoisseurs), we checked into our room at The Grand Hyatt Melbourne to freshen up. All of a sudden, our doorbell rang and lo behold, our friend, Barry (he prefers Baz) the Koala had arrived. Baz even brought us macarons and a bottle of champagne to enjoy! What a great koala! At 15 years of age (45 in human years), Baz has been busy travelling to all the capital cities of Australia. Originally from Queensland, he tells us that he has a penchant for red wine and dark chocolate. He hilariously recounts how he has recently started a version of koala Pilates called Kolates! It apparently takes into account for koalas tiny hind legs and helps strengthen their prowess in climbing trees! After squishing Baz a bit to truly welcome him into the family, I decided to take him for a tour around the hotel. We thought we would begin with a visit to the gym before freshening up for dinner. I convinced him that he had to burn off some calories before indulging in a massive hot pot dinner in Chinatown! As you can see, Baz needed a little help with using chopsticks during our dinner, but he managed! 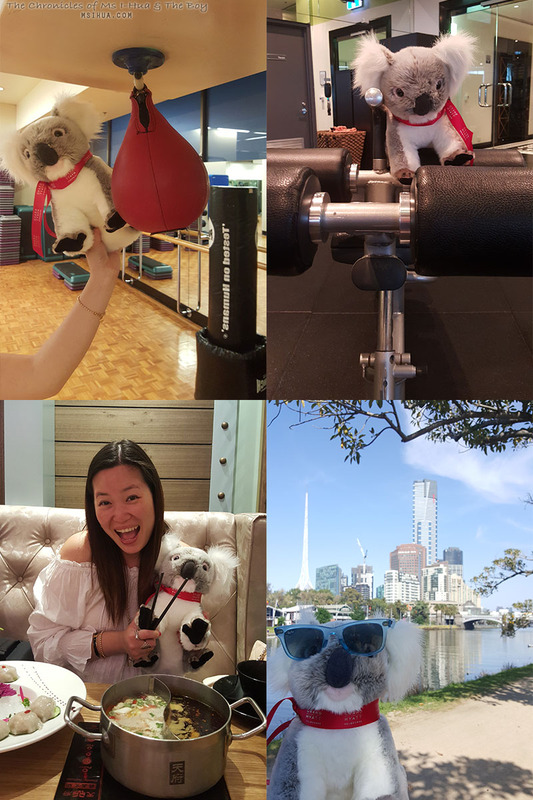 When we woke up the next morning, we took Baz around for a walk around the Yarra River, and a visit to the Arts Centre for its weekly Sunday Craft Market. Baz is a little bit of a selfie lover. Can you tell? 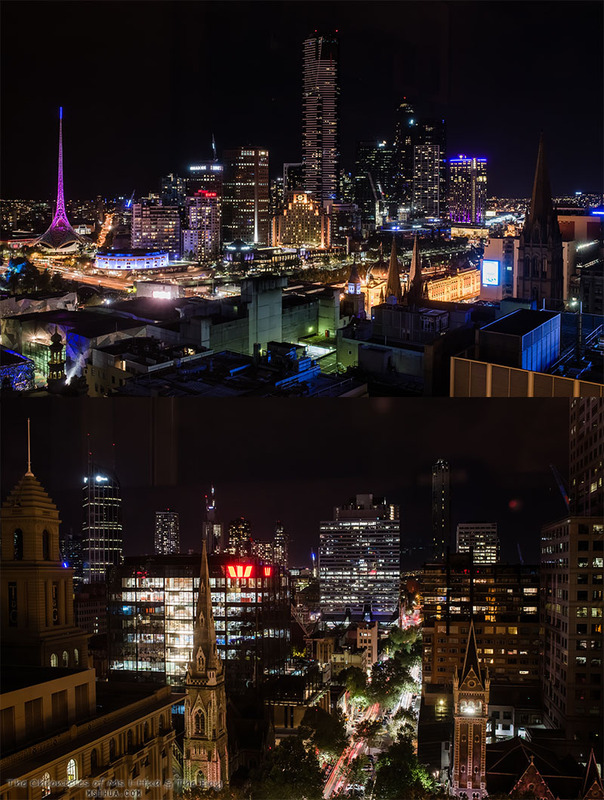 Don’t forget that the view is magnificent from the rooms at Grand Hyatt Melbourne. Baz couldn’t quite work out what The Boy and I were up to with switching off all the lights in the bedroom and taking photos of the night scene. 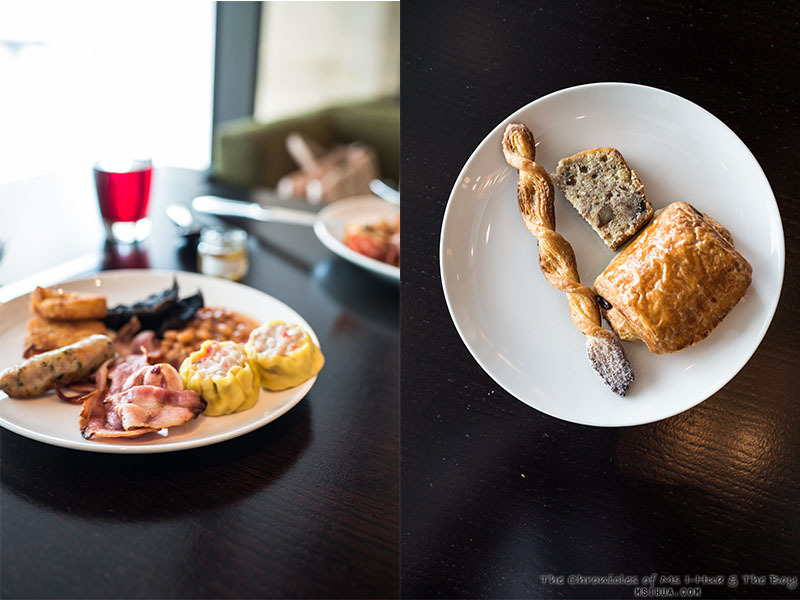 As part of the Explorer’s Package, we also managed to indulge in the Buffet Breakfast in Collins Kitchen. Don’t forget the waffles! It’s one of my favourite things to have here! My Hyatt Neighbourhood Photo Competition! Beginning Friday 16 October 2015, when you share your favourite local secrets with Baz via Facebook, Instagram or Twitter and tag #InAHyattWorld and #HyattAustralia, you will stand to win some pretty amazing prizes! 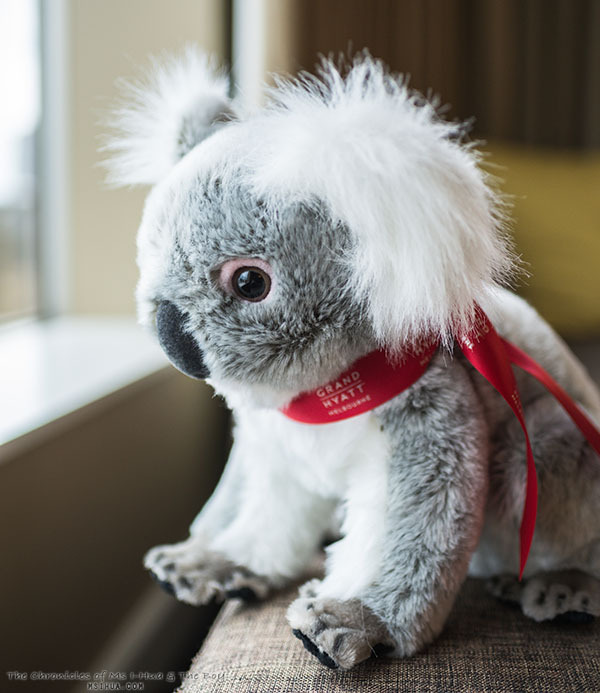 Follow Hyatt Australia as they announce weekly themes for your chance to WIN a local experience at one of their 5 Hyatt hotels in Australia – Park Hyatt Sydney, Park Hyatt Melbourne, Hyatt Hotel Canberra – A Park Hyatt Hotel, Grand Hyatt Melbourne or Hyatt Regency Perth. 4. Wait to see if you have won! Competition closes Friday 13 November, 2015. See full T&Cs and visit Grand Hyatt Melbourne for more information. 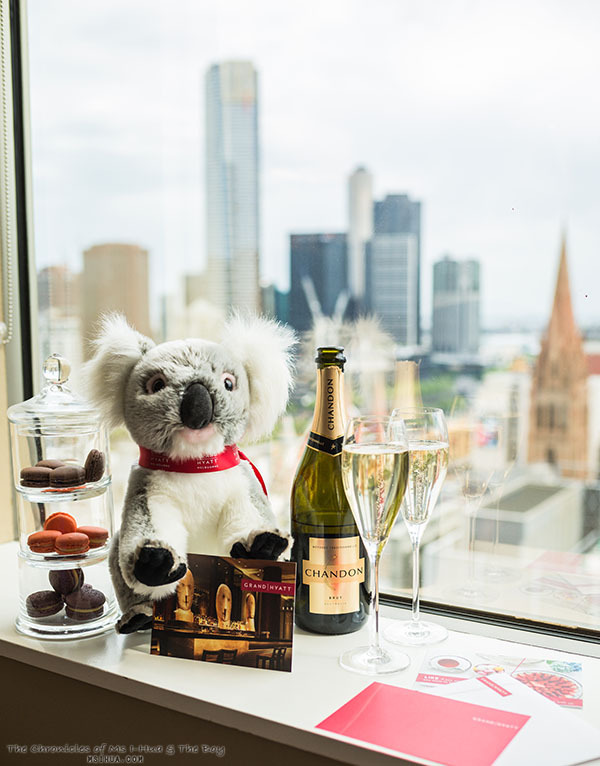 Park Hyatt Melbourne (#InAHyattWorld) – We Hear You.